Swainswood Leisure Park is a new development with new Luxury Lodges. This exclusive development is open all year round and has a full 12 month holiday licence. The park has just received a 5* Tourism Quality Award, this is the highest level achievable and the following quote defines its grading, “Excellent” – overall quality standards can be expected from Parks with this grading. Located on the edge of the beautiful village of Overseal in Derbyshire the park is attached to woodland walks and the local area boasts of excellent fishing, boating and canal walks, yet only 3 miles from the M42 (Junction 11), and approximately 30 minutes from Birmingham and Nottingham. Drayton Manor Park and Twycross Zoo are within 20 minutes drive as is the world famous Belfry Golf Courses. Alton Towers and the Peak District are within a 30 minute drive, as is both East Midlands Airport and Birmingham International Airport. Swainswood Park is set in approximately 4 acres and spaciously laid out to modern standards with kerbed tarmacked roads and areas of landscaping including an attractive water feature. Each lodge has been positioned to offer privacy and a pleasing outlook, with car space and lawned areas to each side. The park also has security coded gates, the code is given to guests on arrival. 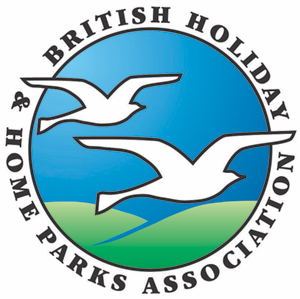 We are confident in our belief that Swainswood Park is one of the best Leisure Holiday Parks in the UK. 5* lodge development enjoying a delightful setting in the heart of the English National Park. Rural countryside yet close to all Midlands cities and major networks. J11, M42, A444 Burton on Trent approximately 5 miles to mini roundabout, right onto Park Road 0.5 mile on right.